Editor’s Note: Earlier this month we carried a two-part reflection from the Catholic Bishop of Sokoto Diocese, Dr. Matthew Hassan KUKAH, on the threats to the Christian faith in contemporary Nigeria. 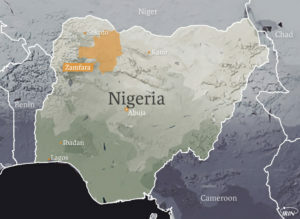 On September 13, 2018, the news agency IRIN, published an article about the neighbouring state of Zamfara in Nigeria’s north-west, where the Christian/Fulani conflict is further complicated by banditry and a lack of political resolve to confront it. Cattle rustling and kidnapping have become a lucrative business and internal displacements are on the rise. At the paramilitary Civil Defence Corps headquarters in Zurmi, Obi Anyadike, IRIN’s Editor-at-Large, spoke to the commanding officer who alarmingly stated that the bandits in this region were trying to clear a corridor along the border with Sokoto State and north to Niger. “The guessing game of who the masterminds are protecting the bandits runs the gamut from senior state officials to traditional rulers – an assumption of high-level impunity and corruption exposing the deep distrust people have for those in power. To tackle the broader problem of farmer-herder clashes in Nigeria, recent studies call for effective systems to track livestock movement and trade, new strategies to curb illicit firearms, coherent political approaches to address rural insecurity, and policies that promote rural development and diversification. To read Obi Anyadike’s full article, click here.